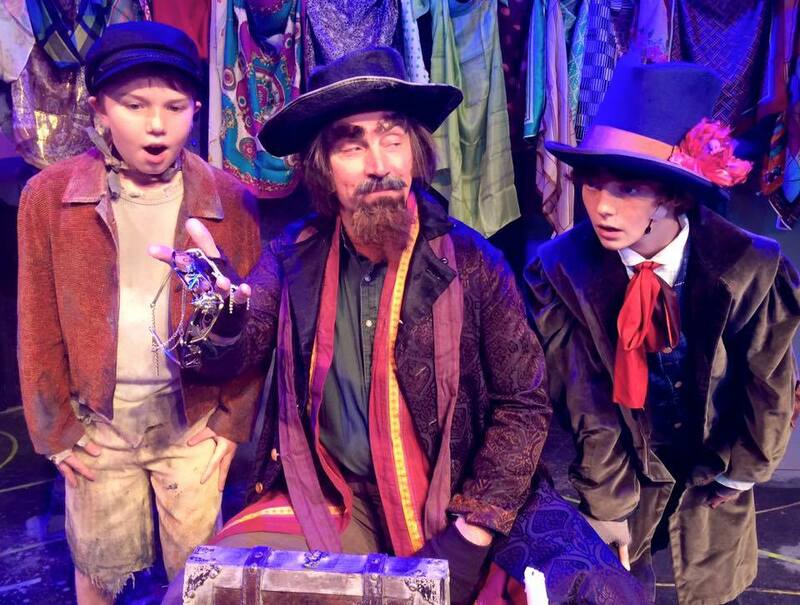 Charlie Norman, Michael Drury, & Riley McNerney in Oliver! Who will buy a ticket to see Oliver! at Centerstage? Answer: People who want to see a decent show with moments of solid character work and plenty of adorable kids. Oliver!, based on the classic Charles Dickens book, opened Thursday night to a 90% full crowd at the Jewish Community Center of Louisville. 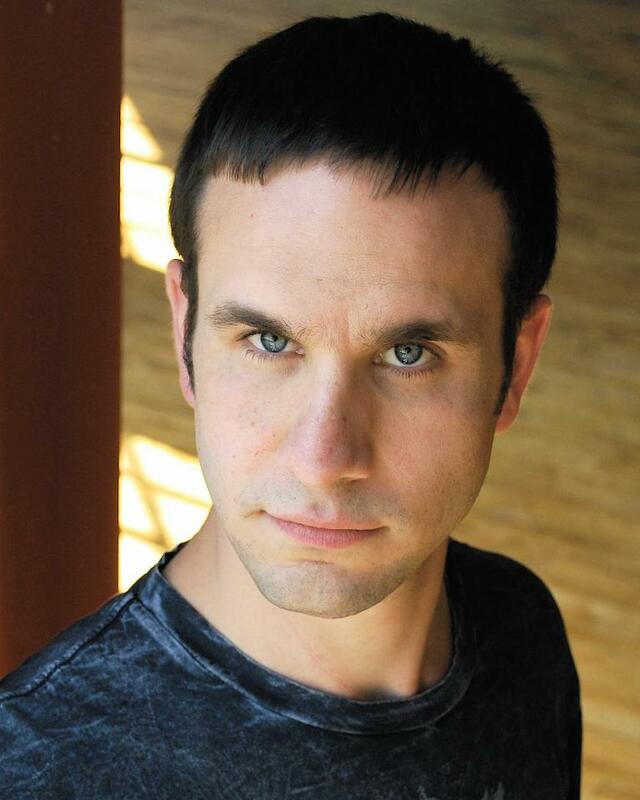 The Centerstage production features the title character (Charlie Norman) being moved, in the beginning, from place to place by the adults in his life, many of who see him as nothing more than manual labor or a quick way to get some cash. When Oliver is sold to an undertaker, it leads to the both the strongest and weakest moments of the first act. “That’s Your Funeral” was not memorable except being off-key at the end. However, Norman’s solo song, “Where is Love”, is heart wrenching, innocent, and painful in all the right ways. It literally left tears in some audience member’s eyes. The other leader, Bill Sykes (Brian Bowles), was equally intense. As soon as he took the stage, the characters on the stage and the audience knew it. 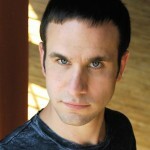 As the main villain, Bowles gave Sykes an ultra-serious, menacing demeanor, eyes piercing holes through anyone that dared to get in his path. Bowles controlled that stage from the very first moment he was on. He should have been in more scenes. Sykes’s lover, Jessica Adamson’s Nancy, also took care of the pickpocketing kids but faced the constant wrath and violence of Sykes. The pain with which she had to deal was made very clear in, “As Long as He Needs Me.” With easily the strongest vocals of the night, Adamson reaches deep and brings Nancy’s tortured soul into the open with more emotion and more depth than any other number in the musical. As for the kids themselves, they put on a track meet, constantly running around the stage, up and down stairs, doing movements, and multiple costume changes. They kept the energy up and were simply adorable in their ensemble roles. Special credit goes to artistic director John Leffert and choreographer Maggie Patten for getting them prepared. Special credit also goes to the orchestra, who provided a professional quality accompaniment to the musical. Combined with a high-quality 19th Century London set that Stephen Ryan-Lanham designed, it was very easy to get transported into that era once entering the theatre. Oliver! won’t go down as the most memorable Centerstage production, but it is a decent effort with enough high quality performances to keep the audience entertained throughout. Laughing at the Dark Side of Human Nature in Agatha Christie’s "The Mousetrap"